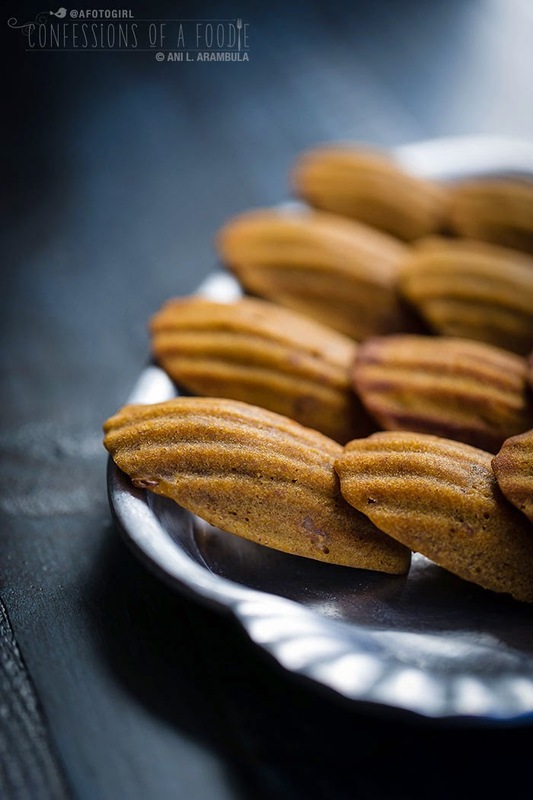 I wish my recounting of my first taste of a madeleine included some fantastical story of Parisian cafes and cases of pastries where the little shell-shaped cakelets catch my attention. But I’ve never been to Europe and the truth is that it was Starbucks that introduced me to this, my favorite little buttery, melt-in-my-mouth treat, some ten or so years ago. Since then, making madeleines at home has been on my recipe bucket list. But the more I read about them, the more intimidated I was to try. I read about how delicate they were — being very easily ruined. I also read that they often stuck to the pans, that ingredients had to be mixed just so, and that the butter needed to be melted first and added at just the right time. So on my bucket list they remained. Nevertheless, I wound up getting myself authentic French-made pans and, not long afterwards, accidentally on purpose turning a baking flop into my own version of a madeleine. Which, considering there was no butter in the batter, was actually just a light airy cookie that I happened to bake in a molded pan. Don’t get me wrong, they were delicious. They just weren’t, in the strictest definition, a madeleine. 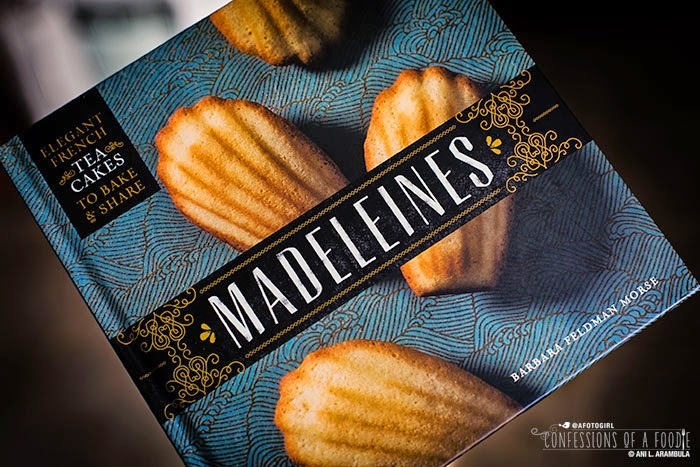 "Madeleines: Elegant French Tea Cakes to Bake and Share" by Barbara Feldman Morse, is the second madeleine cookbook to come across my desk and the first to inspire me to attempt making a bonafide madeleine recipe. The reason for this is simple: Morse demystifies the process, sharing her time-saving technique that was born out of her need to pump out hundreds of madeleines a day when she operated a bakery. She's spent the past 30 years perfecting this method. "I've had plenty of years of trial and error, which is why I want to share all the tips and tricks I've learned along the way." 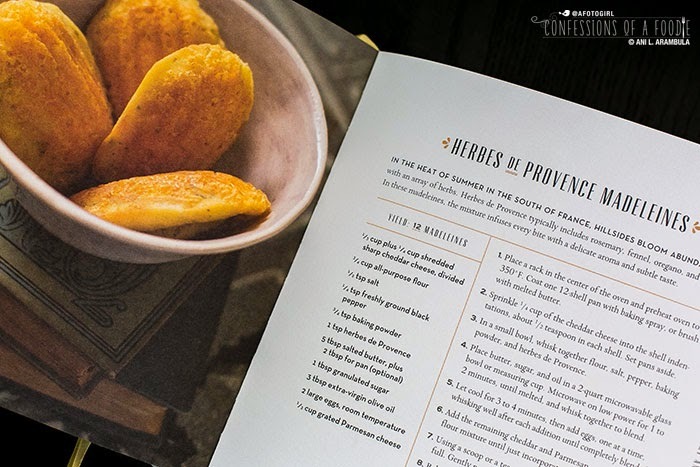 In addition to the the chapters on recipes, Morse shares her in-depth knowledge of ingredients, equipment, and technique including step-by-step pictorial processes of both the French style madeleine and her own madeleine-making style. 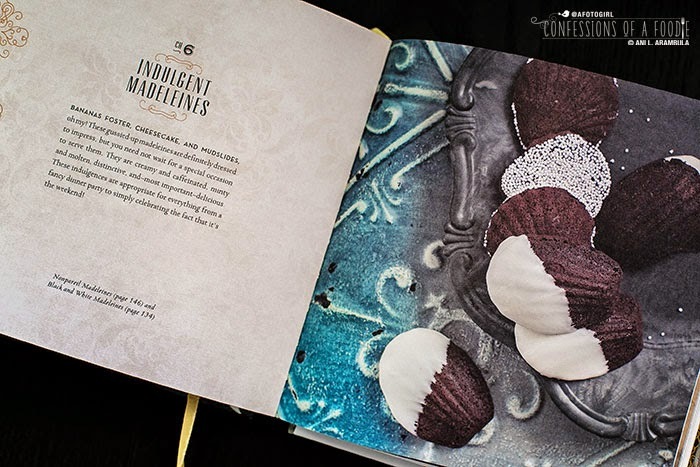 All recipes include a headnote that either shares a history of a particular recipe, provides suggestions for variations, or explains a particular technique. The design of this little hardback is elegant, even including a yellow ribbon to mark your spot. A minor note: I would have liked the font size one point larger but at least the font for the recipe body is a nicely weighted serif. 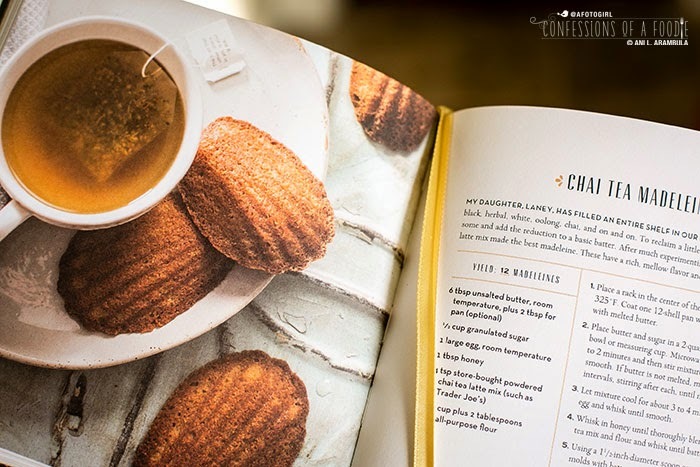 Though not every recipe is presented with a photograph, there are plenty of beautifully styled color photos to provide the reader with plenty of enticement to get into the kitchen and bake. Speaking of getting into the kitchen to bake, considering that it’s nearly Thanksgiving, I thought I’d finally jump on the pumpkin bandwagon and chose the Pumpkin Spice Madeleine recipe to test and wouldn’t you know it? I found the only typo I came across: The recipe does not list the amount of the essential ingredient — pumpkin! — because the volume is listed as just a partial fraction (1/). So I guessed, making it the first time with ½ cup and the second time with ⅓ of cup because the ½ cup batter seemed loose. However, the batch with the ½ cup did have a more pronounced pumpkin flavor. I enjoyed the results of both (just having one from each batch due to dietary restriction) although I found them a bit on the sweet side and more dense than the madeleine I’ve become accustomed to. As Morse explains early on in the book, her technique mostly calls for hand-whisking, which arguably makes for an easy clean up and spontaneous late-night madeleine-making sessions but the technique sacrifices the lighter, cake-like results one gets from using a stand mixer or electric hand mixer which can beat in much more air into the batter. After making both batches of the pumpkin recipe and photographing it, I contacted the rep handling the marketing for the book and asked for permission to reprint the pumpkin recipe here for this review only to find out that it wasn’t on the list of available recipes to excerpt. He offered up the Dark Chocolate Espresso as an alternative. Darn! That meant I had to test out another recipe. Poor me! I think she was definitely successful with that quest. Until next time … Happy baking! 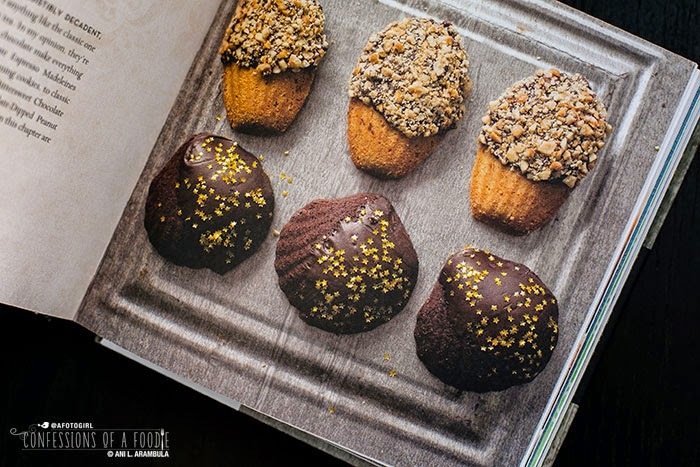 From the moment I bought my first madeleine pans and started creating my own recipes, I tried to pack as much chocolate into the batter as I could. This trait served me well when I entered the Ghirardelli Chocolate Company Great American Chocolate Cookie Contest at the San Francisco Fair in 1980 and won the top prize for my “San Francisco Fudge Foggies,” a mix between brownies, fudge, and dense chocolate cake. 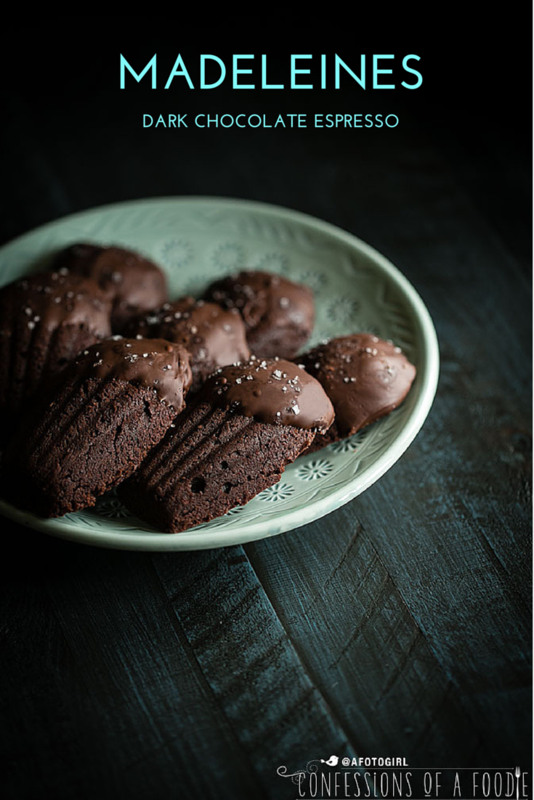 My recipe went on to win the Grand COCO Award for best overall recipe in Chocolatier magazine’s first Great Chocolate Challenge, and I’ve adapted it to create these dark chocolate espresso madeleines. I love serving them warm with a scoop of vanilla ice cream. 1. Place a rack in the center of the oven and preheat oven to 325°F. Coat two 12-shell pans with baking spray, or melt an additional 4 tablespoons butter and brush a little in each mold. 3. Let mixture cool for about 3 to 4 minutes and then add eggs, one at a time, whisking well after each addition until completely blended. Add the flour and cocoa, whisking thoroughly. The mixture should be very dark, thick, and shiny. 4. Using a 1 ½ -inch-diameter scoop or a teaspoon, fill shell molds with batter until almost full. Gently press batter to distribute it evenly. 5. Bake for 10 to 13 minutes, until madeleines puff up and no shiny spots remain in the centers. Small cracks may appear, but be careful not to over bake. 6. Remove pans from oven and let cool on a wire rack for 2 to 3 minutes, then invert and tap madeleines onto the rack. You may also use a small offset spatula to remove each one individually. Let cool completely. 1. Place chocolate in a 2-quart microwavable glass bowl or measuring cup. Microwave on low power for 1 to 2 minutes and then stir with a whisk until smooth. If chocolate is not melted, microwave for 15-second intervals, stirring after each, until smooth. 2. Place a piece of waxed paper on a cookie sheet or large wire rack. 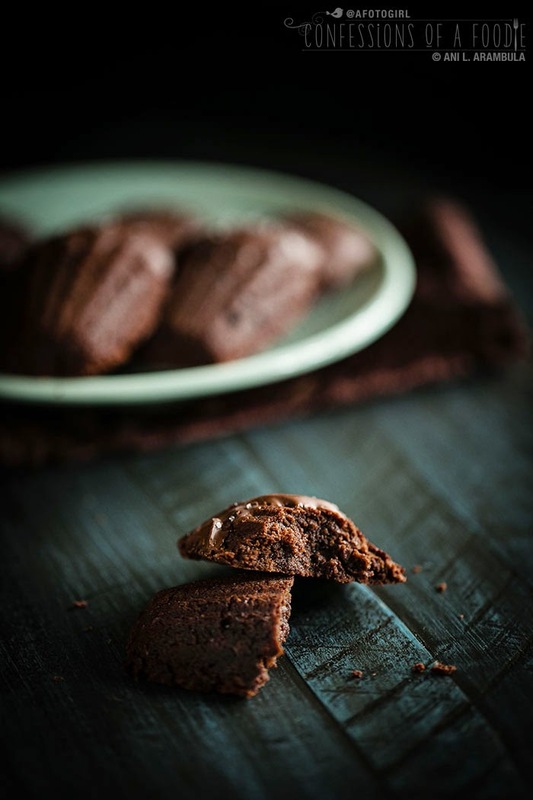 Hold each madeleine by its narrow end and dip one-third of it in the warm chocolate glaze. Lift the madeleine and scrape the flat side along the side of the bowl to remove excess. Place madeleines on the waxed paper and let glaze set, 30 to 60 minutes. Recipe by Barbara Feldman Morse. Used with permission of Quirk Books. Disclosure: Quirk Books provided me with a review copy for editorial consideration. I was not otherwise compensated. All opinions are my own. These images are gorgeous, Ani!! I only have 1 pan 12" pan (12 madeleines) do you feel the baking time would need to be adjusted? No, I don't think the time needs adjusting. Check it at 10 minutes and go from there.